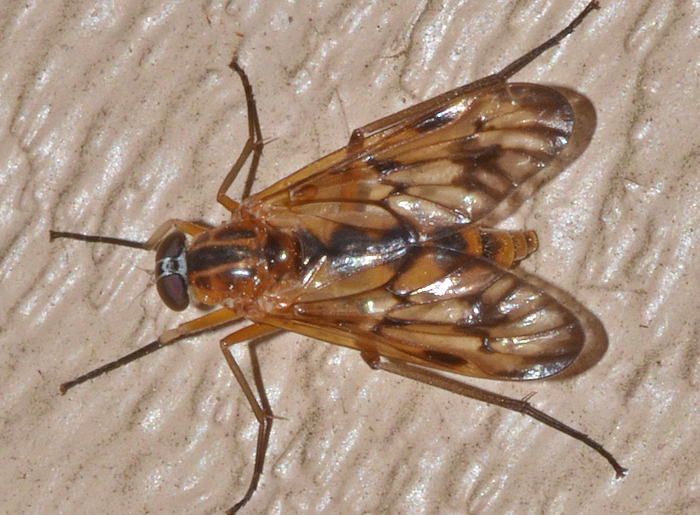 This photo shows a predatory snipe fly. Rhagio has 25 species in North America. Several species in this genus are called down-looker flies because they sometimes perch on tree trunks in a head-down position.